I will be in Cork, with a friend of mine, for the Sunday concert !!! @hayleysforum see @cyocork cyo.ie and ticketmaster.ie Hayley Westenra Cork concerts. 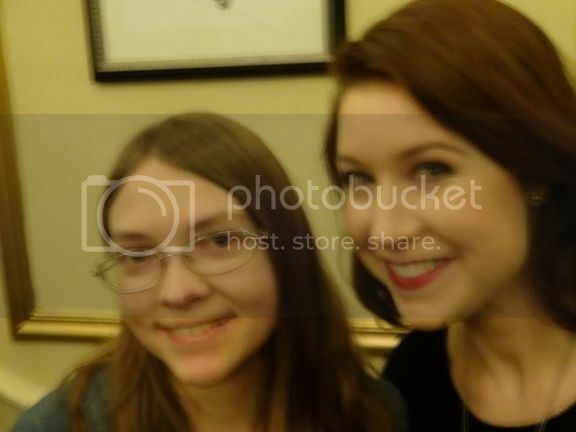 @hayleywestenra But the question still remains.... what are you up to in NYC? Hey, Tomas is also following LibbyWA!! Hmm, I wonder if they're following Bob C, too? It just goes to show that even large ticketing agencies sometimes do not know what's going on! Anyway, at least I won' t be the only person at the Sunday concert now. I'm more inclines to go for the Saturday one. As I mentioned in the Madison thread, that improves the chances that Hayley will be able to send some time with us. Or I might do both. I have things to sort out when I get home before I can finalise it. Why does Hayley always announce concerts when I am on holiday? My decision has been made and unfortunately I have to give this one a miss. The reason is the booking website of Ticketmaster which doesn't offer a save website for credit card details. A little story first that explains why I'm quite fussy about that. Last May I booked a journey to England online (flight, rental car, hotel) using the browser Google Chrome. The booking site of all websites were secure according to Google Chrome. So I booked the journey and everything seemed fine. A few weeks later my credit card was blocked because my credit card number was stolen!! Nothing happened in the end because my card was blocked quick enough but it was annoying because I couldn't explain how that could happen. I received a new card and a few weeks later I booked my next journey to Newcastle for August. This time I used the browser Firefox and it rated the website of the rental car company unsafe, the same website I used in May which was rated secure with Google Chrome. Since then I prefer websites which are secure according to Firefox. Firefox rates Ticketmaster as safe website with unsafe content (https with an exclamation mark in front). Not safe enough for credit card details. That is absolutely not acceptable! So I have to wait for another concert next year. Everyone who's going have a lot of fun! ...and don't forget to check your credit card account regularly! I too had my credit card cancelled and replaced by a new one earlier this year. I still don't know why or how that happened. I simply got an email from my credit card company saying that my card was "compromised" and that they would send a replacement which they did with a different number. I'm glad these guys are on the ball, but it would have been useful to know how that happened and who I should avoid dealing with in the future. Maybe it doesn't entirely eliminate your misgivings but tickets may be booked by phone to Ticketmaster.ie at 0035318472455. Also, Ticketmaster online uses 'Verified by Visa' and doesn't retain credit card details, unless you give permission. "two people .. two hours" Typical Irish?? But anyway, well done you guys for sorting out the ticket problem on the Sunday! Just to add to the comments about Thomas's post, that I've used Ticketmaster many times for concert tickets and have never had a security breach, it's the one of the biggest if not the biggest ticket agency in the UK and Ireland as well as several other Countries, I think, so they'd have a lot of reputation to lose if there was a breach. Personal decision though, as always for this kind of thing. Likely news in the making. Will we ever hear?!! I'll post about the ticketing error on our Facebook page, in case anybody there tried to book tickets for Sunday without success. Thought you would, I didn't need to twist your arm this time! Only yourself is surprised, I'd say. Wow, it will be good to see you there. That is assuming I get there myself, since I haven't booked anything yet. I would rather be at home with a reliable internet connection when I do. I'm on holiday in Cornwall at the moment. Yes, I know, I'm nearly as paranoid as Libby. Also, I might have a companion, my grandson, but I'm not sure how keen he is on Hayley. His mum seems keen for him to come. We shall see. Just hope there are tickets left when I finally get round to it. At least the seats are not allocated. To make things even worse I know I will be rushed off my feet when I get home anyway. Sue's dad's funeral is next monday, and although Sue's brother has organised most of it, everyone is coming back to my place afterwards. And since my daughter has been living there for the last week without her usual cleaner (me) there will be some mucking out to do no doubt. ( I owe that expression to Sue, she always talked about "mucking out" our daughter's bedroom). But hopefully I will find time. It is strange, so many of Hayley's American fans struggle with money and getting the time off work. For me it is finding the time to do the research and book flights etc. But I suppose if I have the tickets, the rest can follow later.